Carl August Nielsen (1865-1931) was one of the major symphonists of the postromantic epoch and Denmark's most eminent composer. He is ubiquitous in his country, where he holds the place of National Composer-Hero. His works are characterized by Iyricism, accomplished contrapuntal skill, mastery of form, and a fresh approach to tonality. 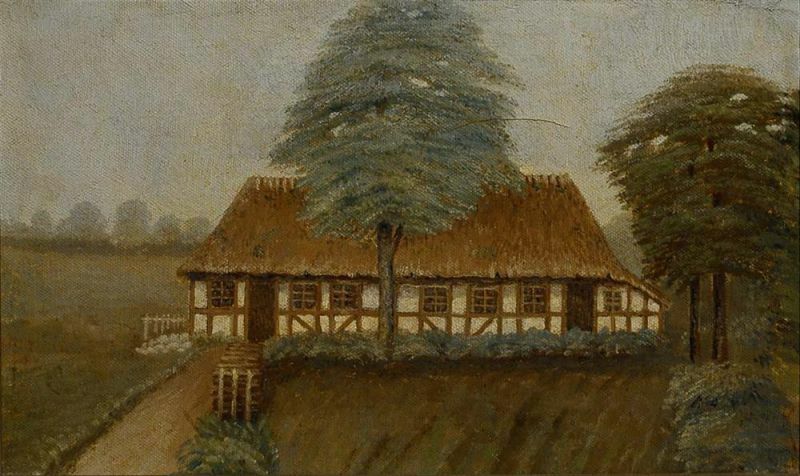 Nielsen grew up in a poor but happy home on Funen, Denmark’s second-largest island. The seventh of twelve children of a house painter and country fiddler, he worked variously as a goose-herder, cowherd, wedding musician, and military bugler before winning a scholarship to the Royal Danish Conservatory in 1884. He was a violinist in the court orchestra at Copenhagen from 1886. Nielsen subsequently served as Kapellmeister at the Royal Theatre (1908–14) and conductor of the Copenhagen Musical Society (1915–27), and from 1915 he taught at the Royal Conservatory, where he became director in 1931, shortly before his death. Nielsen's international recognition is regarded largely due to the reputation of his symphonies. Unfortunately, his excellent chamber music has remained almost unknown outside of Denmark. In 1914, Nielsen was asked to write a short piece for several musicians from Det Kongelige Kapel, the orchestra of the Royal Theatre in Copenhagen. They were about to go on a tour playing Beethoven's Septet, so Nielsen used the work's scoring as a starting point in creating his Serenata which he completed in just a couple of days. "First the gentlemen play in a somewhat chivalric and showy manner to lure the fair one out onto the balcony, but she does not appear. Then they play in a slightly languorous strain (Poco adagio), but that hasn't any effect either. Since they have played in vain (in vano), they don't care a straw and shuffle off home to the strains of the little final march, which they play for their own amusement." When the composer turned sixty, in 1925, a national holiday was declared, and he woke to find a brass band playing outside his window in Copenhagen.